Many of us spend a lot of time online. We shop, use social media to connect with family and friends, send personal and business emails, pay bills and more. This makes it incredibly important to ensure our personal information is safe from thieves. 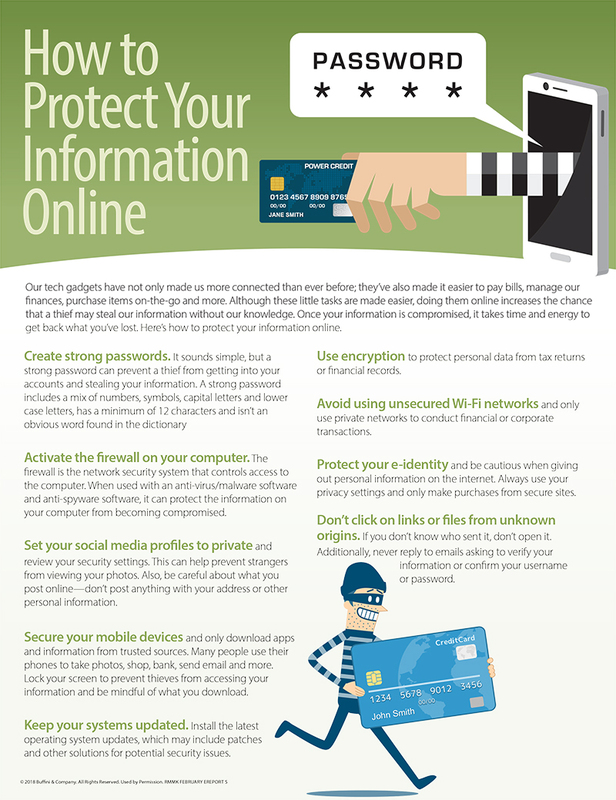 Below are several tips to help you keep your information secure.